A look from the front of this gorgeous brick house located in horse country. This home contains very detailed brick veneer with patterned pennsylvania blue stone patios around the perimeter. 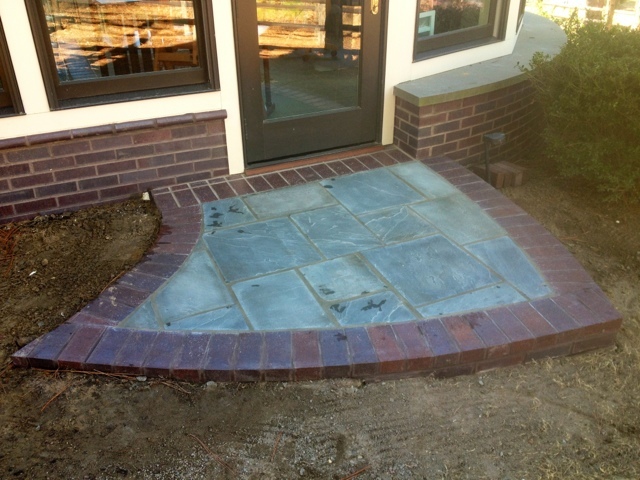 The front porch- Pavers in mortar. 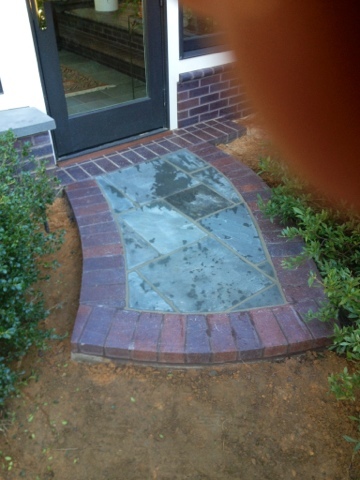 A closer look at the pavers on the front entrance. Not a large entrance to this gorgeous home, but it is very classy. I bet your dog would be jealous!! The Pennsylvania Blue Stone provides so much character to the architecture. The Caps of these walls are also Pennsylvania Blue Stone, but they were pre-cut. Amazing, yet Immense. This chimney was quite a job. But, very elegant.